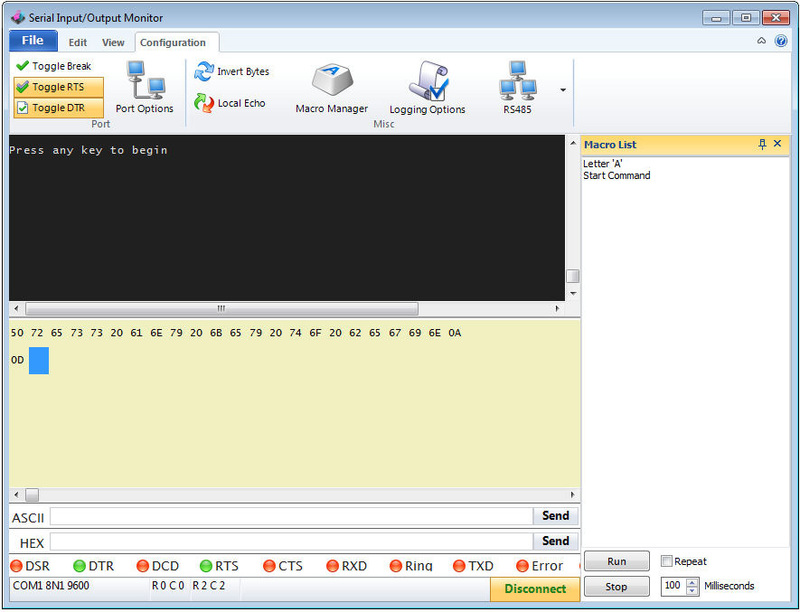 The Serial Port Monitor software has been part of the CCS IDE software packages. CCS is now offering this software as a stand-alone product to command-line compiler customers. This will aid in testing RS-232 PIC® MCU projects and will help those using the CCS bootloader programs. In addition, CCS is now offering a license to re-distribute the Serial Port Monitor. This allows compiler users the option to distribute the Serial Port Monitor with their own products. CCS has packaged the software for unlimited distribution based on a one-year license purchase or individually. This is an excellent way to offer your customers additional functionality to using your software, at an exceptionally low price.